I've been longing for spring which has prompted me to start shopping for pretty spring fabrics. 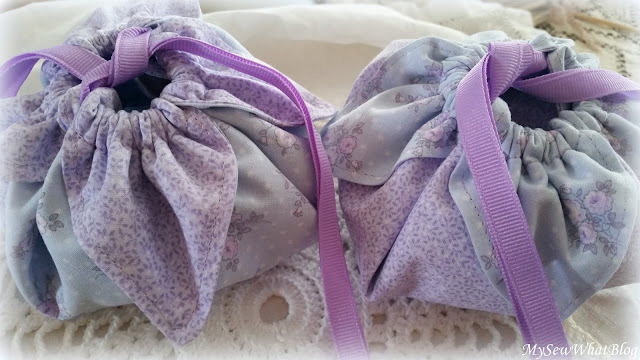 These two coordinating fabrics in pastel purple and blue, caught my eye and I thought they would make the sweetest little petal pouches. They turned out pretty cute and I love the fabric. I think I will hop on back to the fabric store to get some more of these prints. My mom made me one of these a long time ago. I think it might have been over twenty years ago. Yikes! I still use it and it looks pretty sitting on my dresser. 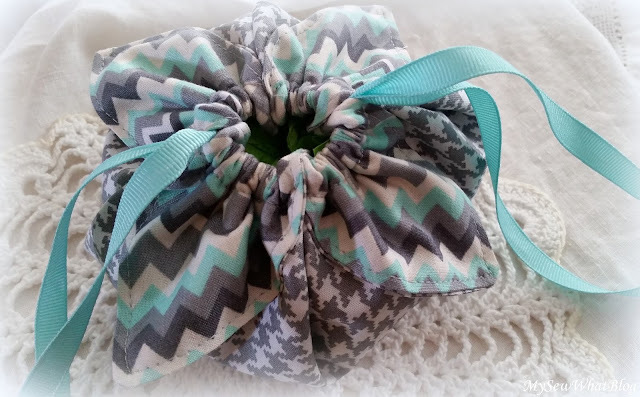 These can be used for so many things--the obvious: like storing jewelry, cosmetics, sewing notions and the less obvious: using them for gift bags, Easter baskets etc. 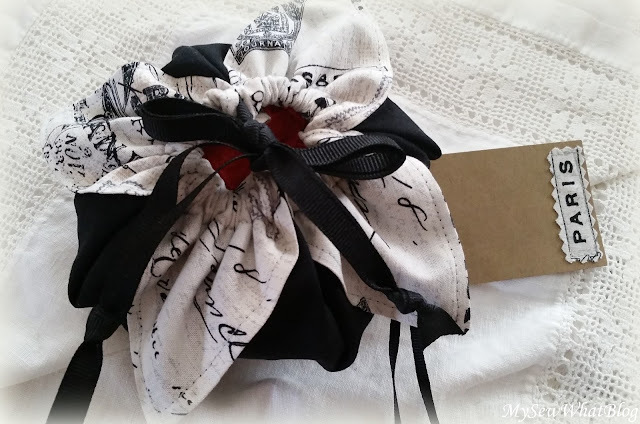 The smaller ones pictured here make wonderful gift bags for gifting a nice piece of jewelry and the wrapping becomes an extension of the gift. 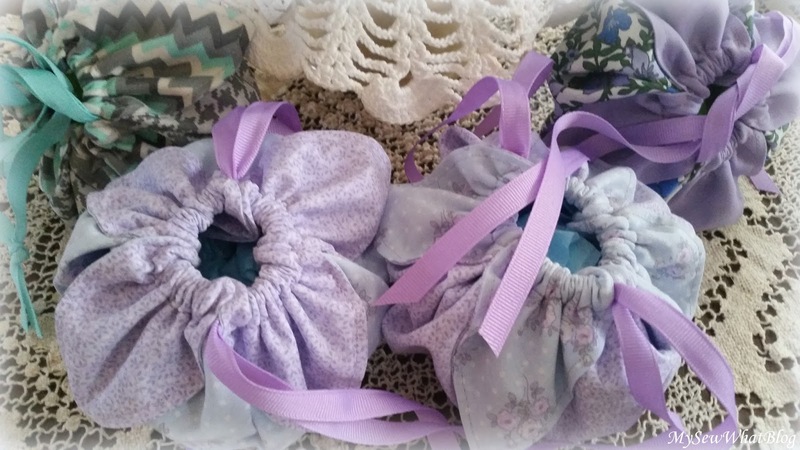 These also look adorable in the larger sizes filled with pastel Easter grass and Easter candy and gifts for older gift basket recipients. 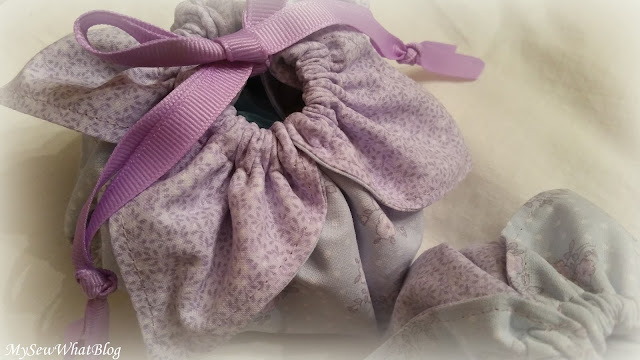 or the drawstrings can be tied in a bow. I made some up in a Paris themed print with some matching little tags. Here you can get an idea of how wide they open. I like the fact that you can see everything inside pretty easily! The little bag at the top right is another pretty floral fabric I recently purchased. I have stitched up quite a few of these little bags in different sizes. I also have some cut out in lace and I can't wait to finish them up. They are lots of fun to sew and very simple to make. I will be putting up a tutorial very soon. Hope you are enjoying your day! Enjoy the rest of the week too friends! I never knew what these were called before but of course I remember seeing them years ago. You're very lucky to have one your mother made for you. 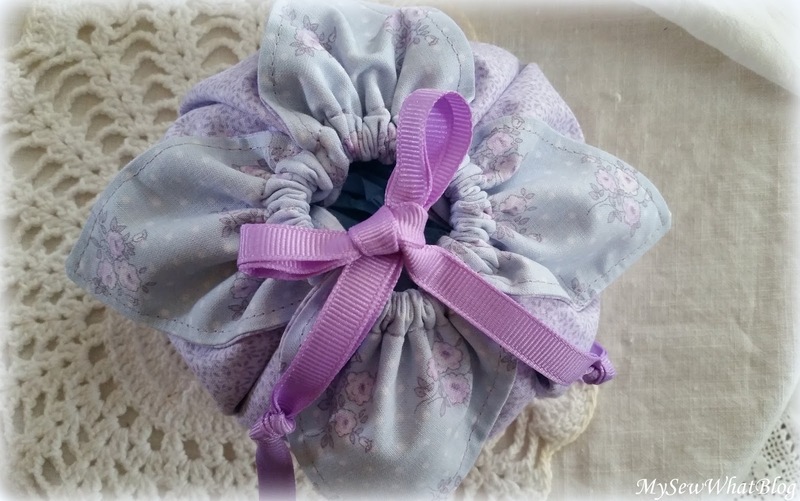 I love the sweet old-fashioned fabric in the lavender and blue ones! you learnt such a beautiful art from you mom dear! 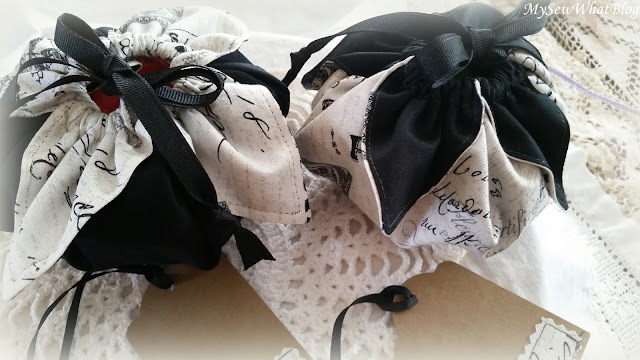 How gorgeous are your petal pouches! I love the pretty pastel purple and blue ones. The fabrics are so very pretty. Oh how pretty, I have never seen these before, that fabric is so sweet with the small print! Pretty colors for Easter and spring time. Great ideas for them too, like your little tags you made to go with them also! Very cute Linda. These are so sweet. Your petal pouches are just darling, Linda! I'm thinking that several years ago I made something similar, but I don't know where my directions are. I look forward to your tutorial as they make wonderful gifts. 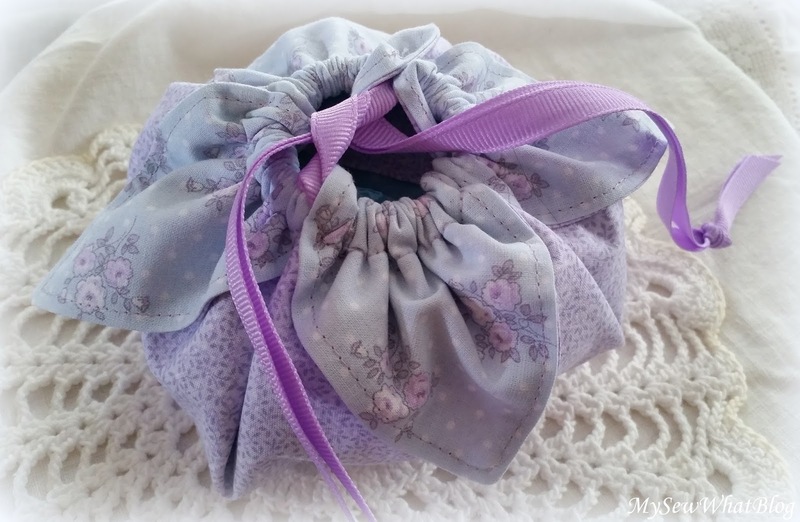 Hi Linda, WOW your petal pouches are beautiful. The design and fabrics you've used are lovely! Like you said, they can be used in so many different ways. You are one talented designer!! Thank you for sharing. 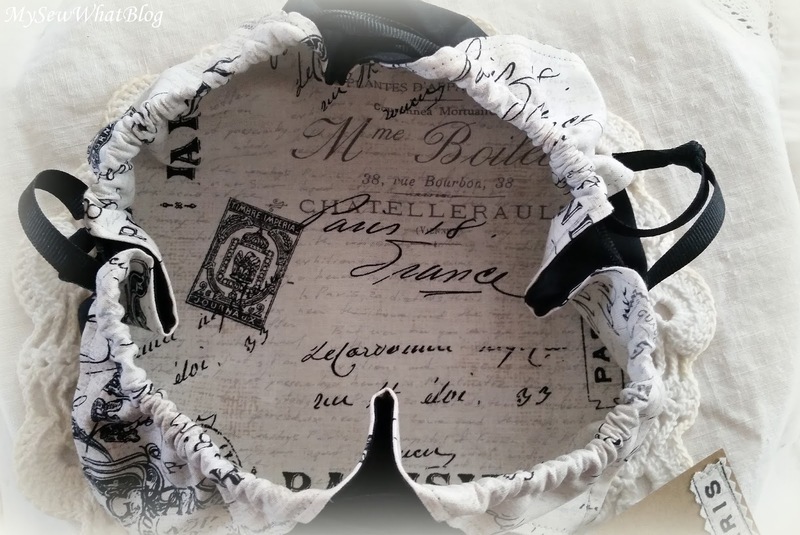 Wow, these are gorgeous Linda, I can imagine so many uses for them! I will look forward to your tutorial! Isn't it special to carry on a tradition with a pattern your mother taught you! You have chosen some gorgeous fabrics to make them! Your fabric choices are so pretty Linda, and you're so lucky to have one from your mom. I'm sure it's very special to you!